Russian Artist's Illustration Shows What Will Happen If Famous Characters Get Old, And Thor Is Too Cute - Find Riddles? Think about all the fictional cartoon characters we have seen while growing up: Ariel, Snow White or if you are a comics fan, Thor, Captain America, Iron Man, Batman, etc. We have seen these characters while we grew up, we saw them evolve, change, grow but we never saw them age. Today we have Lesya Guseva, a Perm-based Russian artist who just solved this problem by reimagining our favourite characters in their later years. She created a series called “Pensioners” in which she drew what she felt these characters would look like and would be doing in their older age. What would an old Barry Allen aka The Flash be doing in his old age? 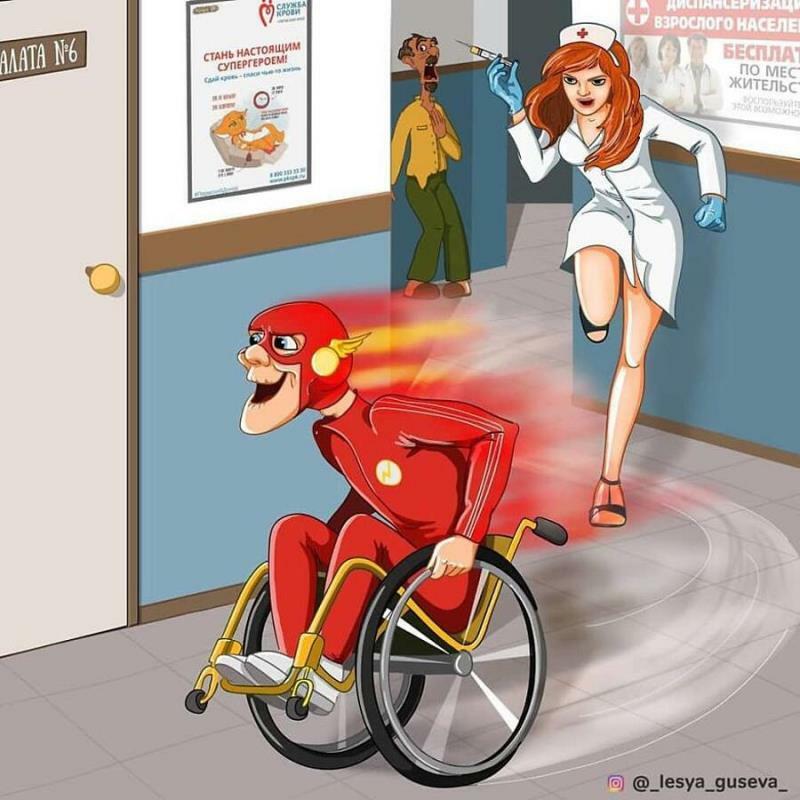 Being the fastest man on the planet he’s be trolling the nurses at the hospital or old age homes he’s in. Just because he’d in a wheelchair doesn’t mean can’t use the speed force. In a cool track suit with his signature mask, Barry looks like he’s having fun.